Stratasys Ltd. (NASDAQ:SSYS), the global leader in 3D printing and additive manufacturing solutions, has announced that it has entered into definitive agreements to acquire two privately-held companies, Solid Concepts Inc. and Harvest Technologies. According to the news release by Stratasys issued last Wednesday, the company plans to combine Solid Concepts and Harvest Technologies with its RedEye digital manufacturing services business. Solid Concepts and Harvest Technologies are leading providers of additive manufacturing services. “We are pleased to announce these strategic transactions, which will enable us to provide customers with a comprehensive offering that addresses a broad spectrum of additive manufacturing solutions,” said Stratasys CEO David Reis. Upon the completion of the transactions, expected early in the upcoming third quarter, the additive manufacturing services business unit will be established, with Joe Allison, President of Solid Concepts, joining the Stratasys management team and leading the combined parts business. With this move, Stratasys will bolster its services business to go with its software and hardware, with the acquisitions expected to add to its earnings a year after the deals close. Solid Concepts, founded in 1991, is mainly focused on vertical manufacturing including medical and aerospace, with annual revenue of about $65 million and 450 employees. “We are excited to be joining forces with Stratasys, a global leader in 3D printing and additive manufacturing. As part of a larger company with a broad customer reach and market coverage, Solid Concepts will be even better positioned to meet the significant demand for our additive manufacturing offerings. We look forward to working with Stratasys to ensure a smooth and orderly integration of our businesses,” said Joe Allison, President of Solid Concepts. “We are delighted to join forces with Stratasys and Solid Concepts in a transaction that will enhance Harvest Technologies’ leadership in producing end use parts using the most advanced additive manufacturing technologies and processes,” said David K. Leigh, President of Harvest Technologies. 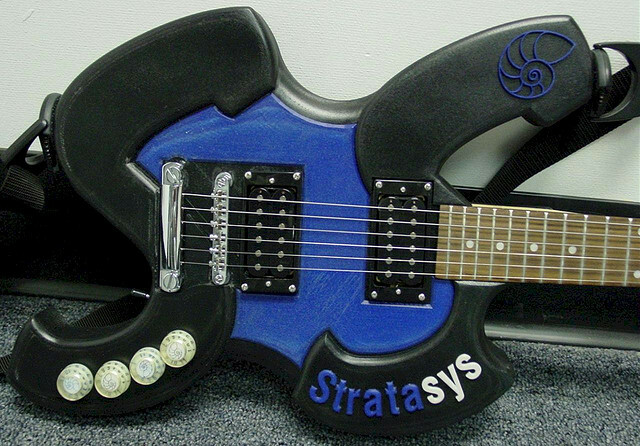 Stratasys said it paid $295 million for Solid Concepts but it did not reveal the sum for Harvest Technologies.